SA Taxi, the specialist asset-backed lender and short-term comprehensive insurer, currently focusing predominantly on servicing independent small-to-medium enterprises (SMEs) mainly in the fixed route minibus taxi industry, is set to expand into the metered or point-to-point taxi industry. The business is focused on building a metered taxi business of scale, with the intention of transforming, recapitalising and formalising the existing metered taxi industry, estimated to comprise a national fleet of 17 000 vehicles. SA Taxi has purchased three small metered taxi businesses in the last four months. Since then, this fleet of approximately 100 vehicles has been upgraded to Toyota Corollas and rebranded as Zebra Cabs. SA Taxi is applying its existing technology, data and skills gained in the minibus taxi industry towards the metered industry. Leveraging off SA Taxi’s vertically integrated and successful minibus taxi business model, Zebra Cabs will procure customised luxury vehicles via their long-standing relationships with vehicle manufacturers, and thereafter sell these vehicles via its direct dealership. All vehicles are customised with leather seats and road-mapping systems, and meet the safety and luxury standards that are now the norm in the global metered taxi industry. SA Taxi will provide the funding, insurance, telematics data, vehicle servicing capability, multiple booking systems and payments channels required; thereby giving owner-driver entrepreneurs the means to purchase a metered taxi business, and enhance their chances of sustaining their small-business. A newly developed Zebra Cabs technology platform is available to owner-drivers, comprising a booking app, a niche combined sales channel and multiple payment methods, including card, online, and mobile payments. The Zebra Cab business model remains agnostic to the booking method or sales channel, and allows for multiple lead generators including the Uber app, corporate sales, web based sales and centralised call centre and dispatch. These advanced facilities enable owner-drivers to expand their reach into the local market, therefore increasing their earnings potential. SA Taxi aims to supply vehicles to metered taxi operators who may not have the credit history or sufficient capital to make the initial down payment required to qualify for conventional vehicle finance. Drivers have the option of an incubation period, which typically runs for six months. During this period, drivers may accumulate the required capital to make a down payment by saving a sufficient proportion of their monthly revenue, whilst at the same time establishing a track record of success. After this six month incubation period, SA Taxi will enable select operators to acquire the vehicle at a discounted price and extend the offering to include efficient longer-term finance and comprehensive insurance cover. Thereafter, the necessary business support is provided in order to assist in sustaining the new metered taxi business. This encourages drivers to work towards owning the vehicle rather than being trapped in the type of endless lease agreements that are the norm for most in the industry. Specifically, the incubation period empowers drivers to, in the short term establish a small business of their own that can sustain them and their families. Zebra Cabs will also establish a driver training academy, for which SETA accreditation will be sought. The academy will equip drivers with customer service skills as well as the knowledge and tools to ensure that they that can start and sustain a small business. 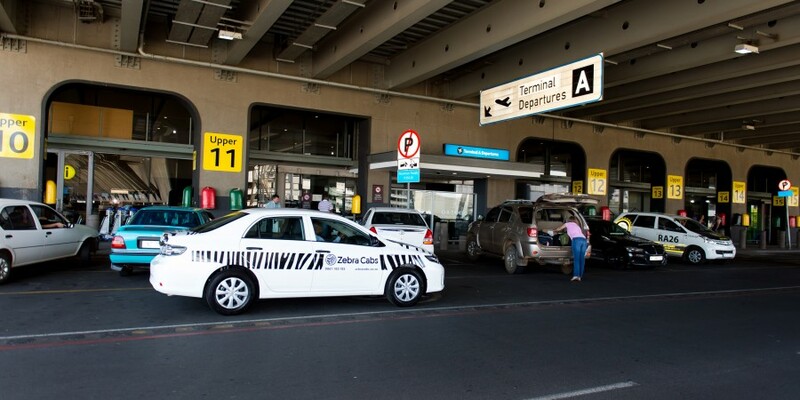 Zebra Cabs has commenced operations in Gauteng, and in time will expand its footprint, city by city, into the Western Cape and thereafter KwaZulu Natal. Zebra Cabs plans to have 3 000 metered taxis in its portfolio by 2020. Commenting on the launch of Zebra Cabs, David Hurwitz, Transaction Capital group chief executive, said “The metered taxi industry has not changed the way it operates for decades, and has been weakened by the lack of a national brand with standardised vehicles, pricing levels and service levels. For these reasons, the industry is in desperate need of transformation, consolidation, recapitalisation and further formalisation. As it has done over the past 15 years in the minibus taxi industry, SA Taxi is perfectly positioned to develop the metered taxi industry into a more professional and organised industry in which our Zebra Cab driver-owners will thrive. In doing so, it will lay the groundwork for the development of an entirely new group of entrepreneurs who will make an ongoing contribution to the economy and create an industry capable of long-term growth. For SA Taxi, the focus is always on enterprise development, with a goal to transition individual drivers and owners into sustainable small business operators, where they can participate in better health-care, education and a broader array of lifestyle options. The company noted that South Africa’s economic growth remains constrained, exacerbated by various macro- and socio- economic challenges. Our economy is facing a potential sovereign credit downgrade with continued political instability. The already distressed consumer and the SME sectors of the economy remain vulnerable, and the level of social unrest and protest action continues mainly as a result of the stressed socio-economic environment. Various negative key economic factors continue to exert increased financial pressure on an already distressed and vulnerable South African consumer. It is estimated that 86% of South Africans borrowed money between 2013 and 2014. Of the 23.74 million credit-active South African consumers, as of December 2015 9.87 million have impaired credit records. More than 11 million South African people are described as “over-indebted” compared to only 5 million in 2013. Economic pressure has intensified due to currency related inflation, drought-related food inflation and increased electricity and fuel costs. Furthermore, employment levels have remained low for a prolonged period, with little or no real wage growth. For all of these reasons, the household debt-to-disposable income ratio has remained at elevated levels, with debt-service costs expected to increase as interest rates rise. TCRS’ ability to collect from the South African consumer, and hence grow its revenues, has thus remained constrained. However, TCRS is a defensive business intentionally positioned to grow despite these difficult economic conditions as its clients display increased demand for collection and related credit risk management services. Further, TCRS may apply some of its R800 million of excess capital and extensive data towards the selective acquisition of the increased number of non-performing portfolios available for purchase from banks, specialist lenders, credit retailers and the like. TCRS currently owns 159 principal book portfolios, with 3 new distressed debt portfolios purchased during the first half of the 2016 financial year for R41 million. In addition to the economic factors referred to above, the changes to the legislative environment regarding prescription, affordability rules, interest rate caps and credit life insurance are also not conducive to the extension of credit by entities governed by the NCA, such as banks, credit retailers and other specialist lenders. Cognisant of this environment, TCRS’s strategy remains to develop positions within identified non-NCA regulated adjacent markets, including the outsourced collection of outstanding claims in the public, insurance and telecommunication sectors. The national minibus taxi fleet of approximately 200 000 privately owned vehicles is responsible for more than 15 million commuter trips daily, comprising 69% of all South African household commuter trips. By comparison, South Africa’s bus and rail network is jointly responsible for a total of only 11 million commuter trips per day. SA Taxi estimates that only 70 000 to 80 000 of these minibus taxi vehicles are subject to finance. As at 31 March 2016, SA Taxi’s R6 688 million loans and advances portfolio comprises 25 591 vehicles, and thus accounts for one in every three of the financed national minibus taxi fleet. SA Taxi continues to vertically integrate into the minibus taxi industry. This is achieved by augmenting its skill sets well beyond credit assessment, collections and capital mobilisation and management. SA Taxi now participates in vehicle and spare part procurement, direct vehicle sales, vehicle refurbishment, short-term comprehensive insurance and telematics. In line with SA Taxi’s strategic objective to achieve deep vertical integration within its market segment, it has recently opened a dedicated minibus taxi vehicle dealership and also established a new auto body repair facility to augment its existing mechanical refurbishment capabilities. SA Taxi anticipates selling, financing and insuring an estimated 2 000 vehicles per year directly via its newly launched dedicated minibus taxi vehicle dealership. This dealership is considered to be one of the largest dedicated minibus taxi dealerships in the country selling new and pre-owned Toyota, Nissan and Mercedes minibuses, Toyota bakkies and bespoke Toyota Corolla metered taxi vehicles. After a capital investment of R25 million, SA Taxi’s auto body repair facility commenced operations at the beginning of February 2016. SA Taxi’s combined auto body repair and mechanical refurbishment facility now spans more than 20 000 square meters.